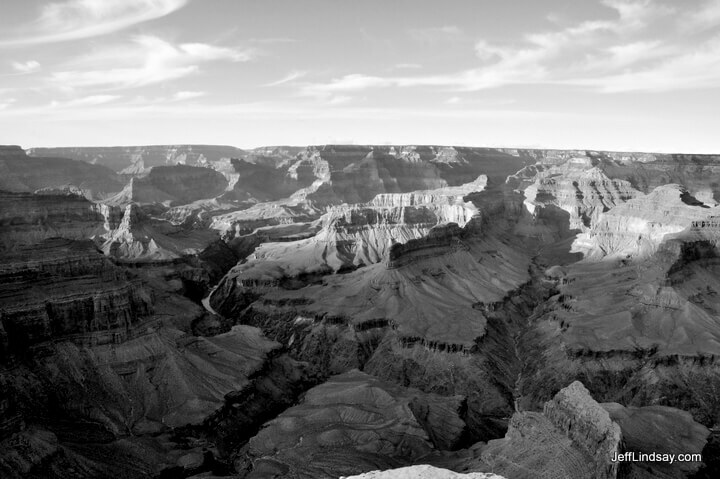 Landscapes and Nature Secenes: miscellaneous photos from 2011-2012, Jeff Lindsay. 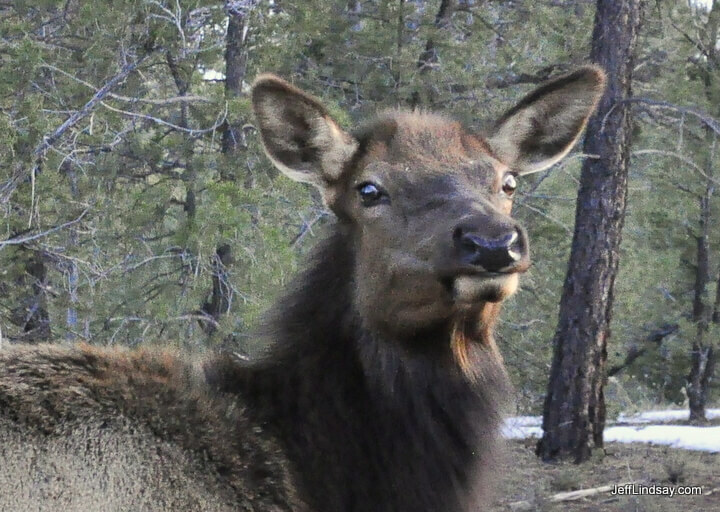 An elk at Grand Canyon South Rim, Jan. 2011. 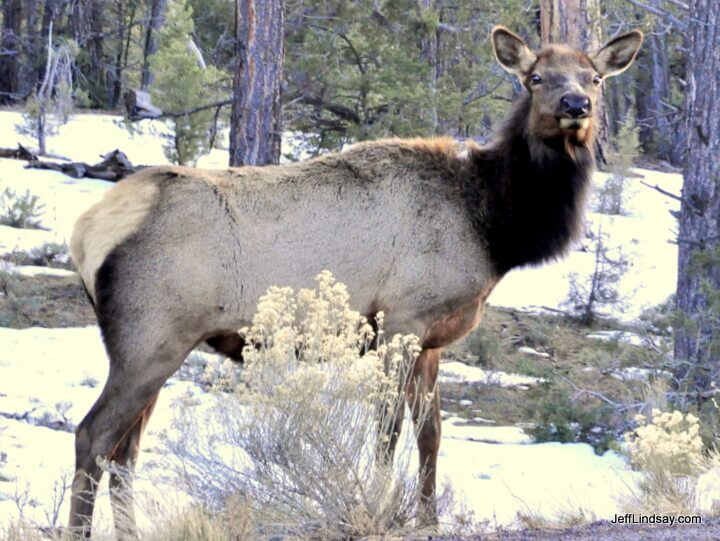 Elk at Grand Canyon South Rim, Jan. 2011. 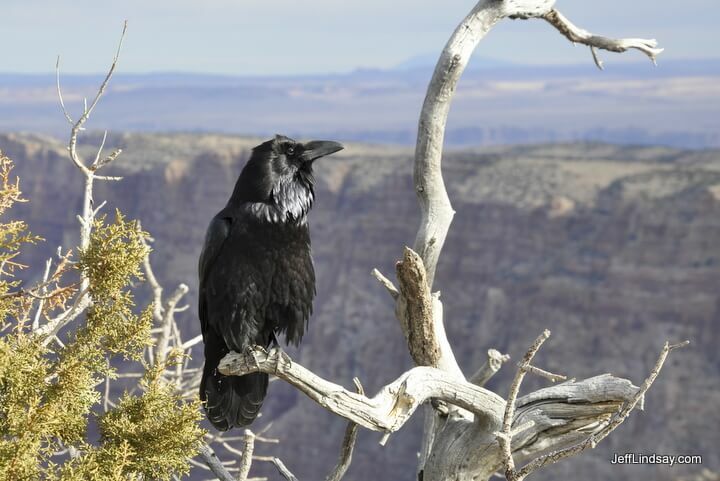 Raven at Grand Canyon South Rim, Jan. 2011. 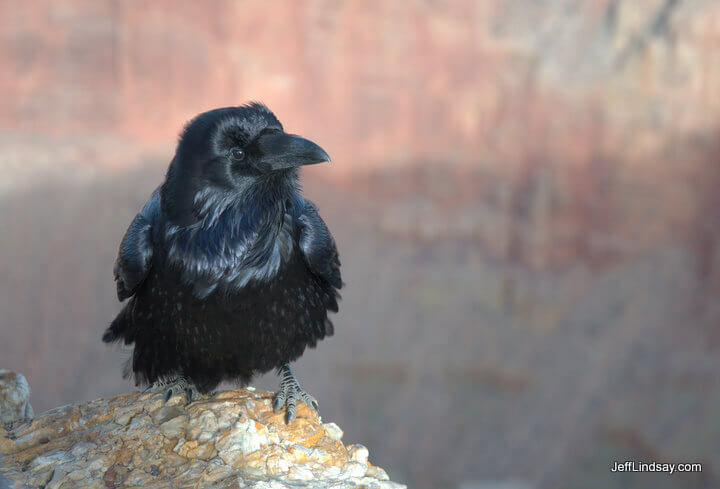 Another bold raven at Grand Canyon South Rim, Jan. 2011. Adult New Zealand fur seal, colony on the South Island's east coast, Feb. 2013. Baby seals in the Ohau Seal Colony of the South Island of New Zealand, Feb. 2013. Another seal at the colony on the South Island. Seals playing in a pool at the coast. An adult New Zealand fur seal watches over a colony on the South Island of New Zealand. 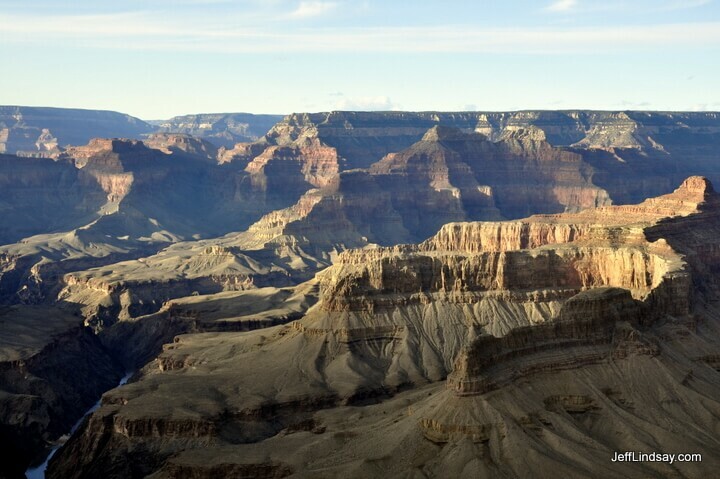 Three rocks in a lake on the South Island of New Zealand, not far from Mount Cook. 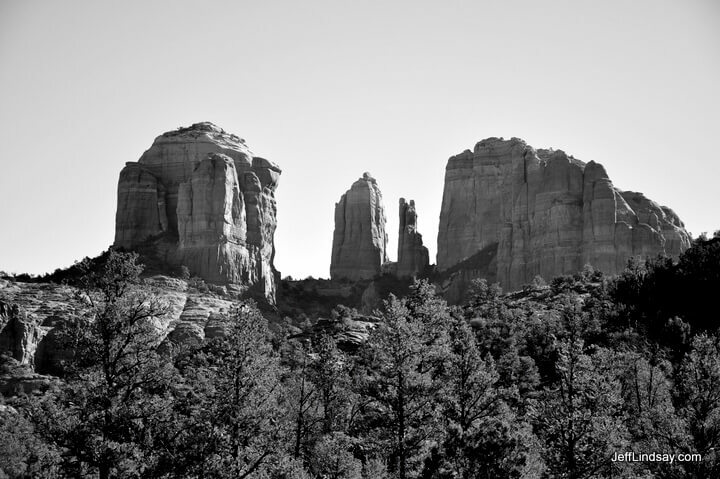 A view of buttes at Sedona, Arizona, Jan. 2011. 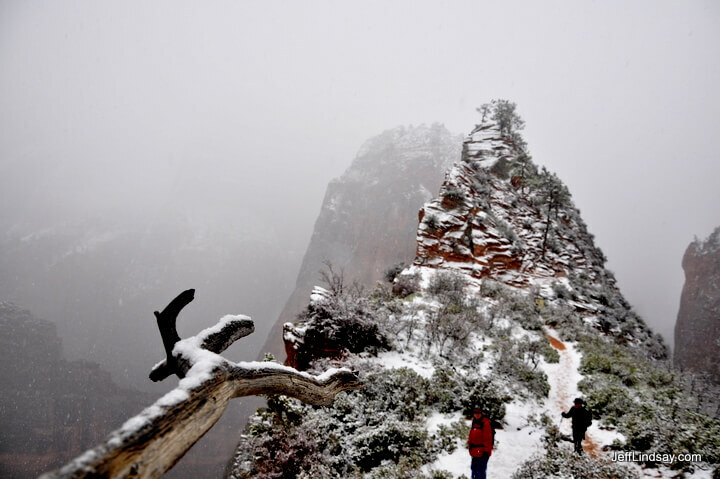 Angel's Landing at Zion's National Park on a snowy March day in 2011 after a slippery climb. 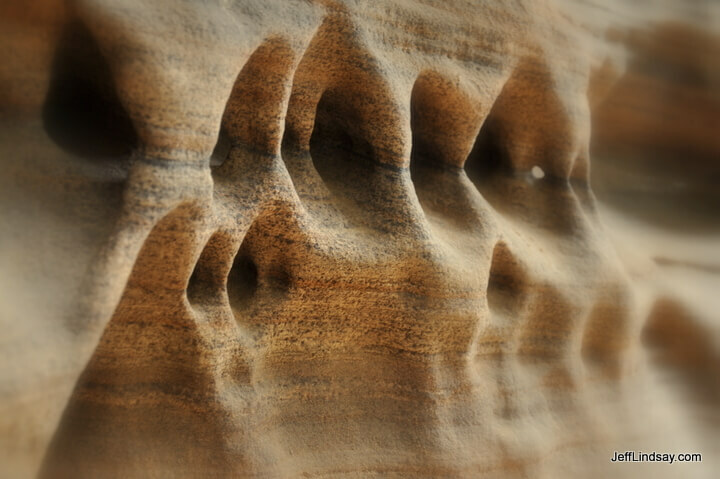 Eroded sandstone seen along the trail leading to Angel's Landing at Zion's National Park. 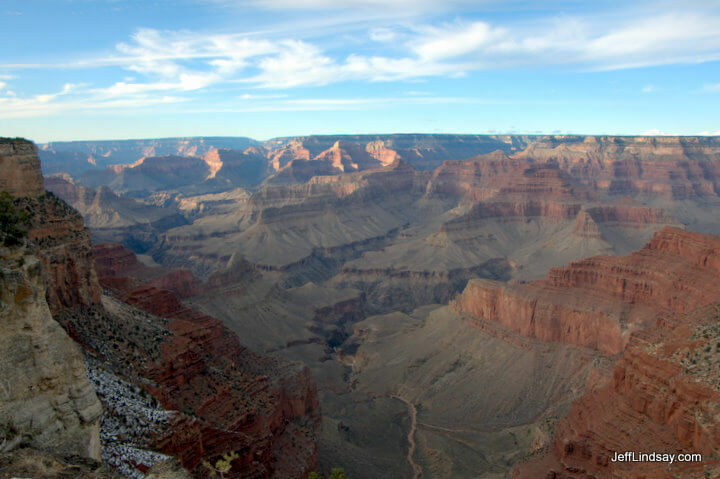 View of the South Rim of the Grand Canyon, Jan. 2011. 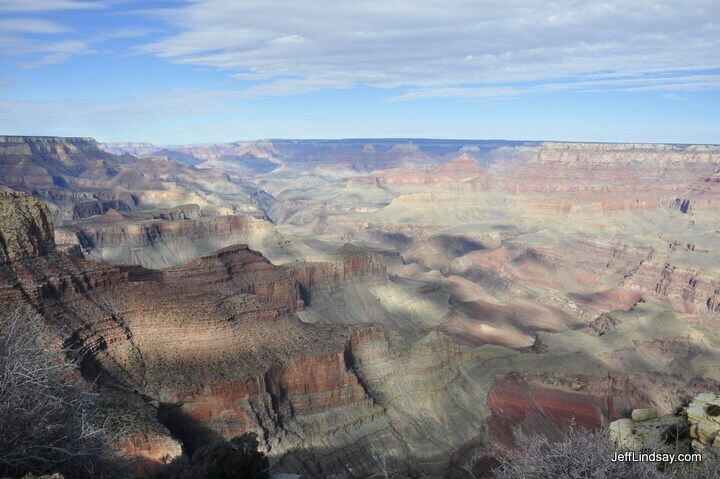 Another view of the South Rim of the Grand Canyon, Jan. 2011. 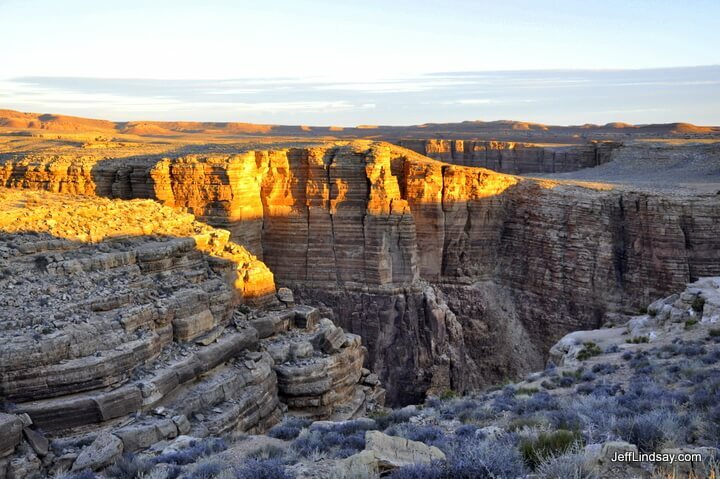 Sunrise at a part of the South Rim of the Grand Canyon, Jan. 2011. 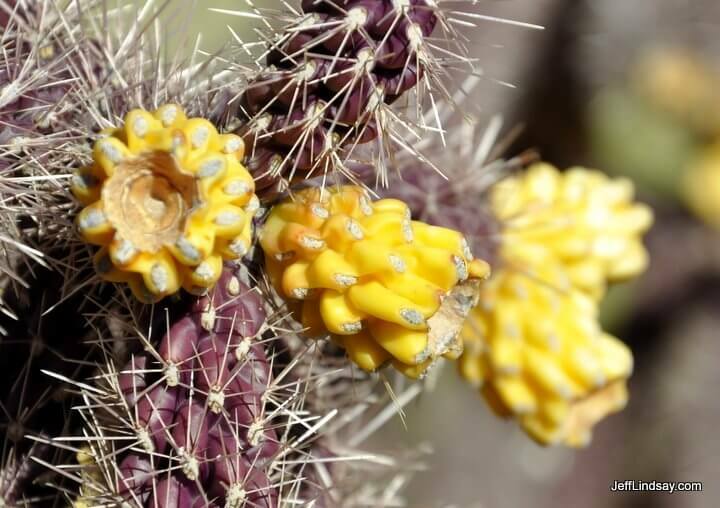 Cactus blossoms in Sedona, Arizona, Jan. 2011. 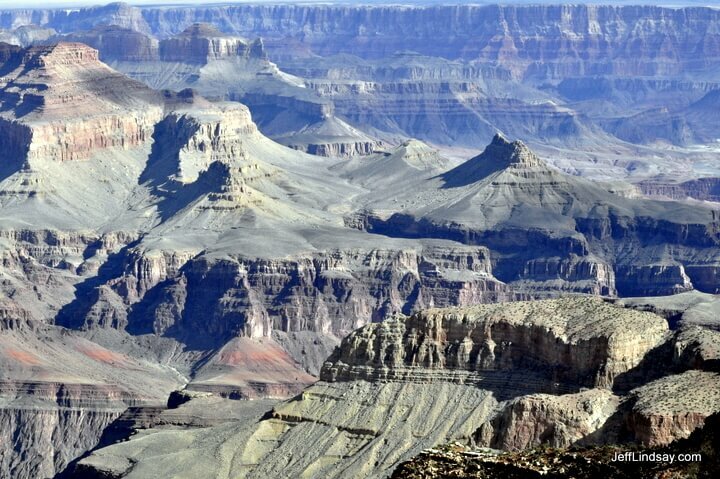 Ghostly trees in a large volcanic area in northern Arizona. 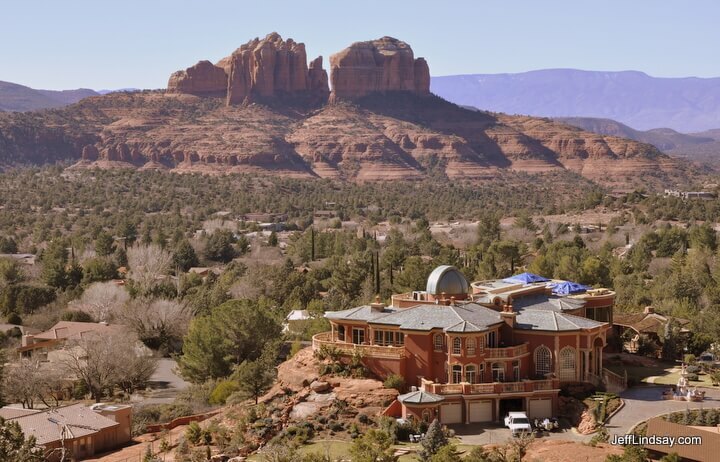 A controversial mansion in Sedona, Arizona showing the amazing scenery of its background. 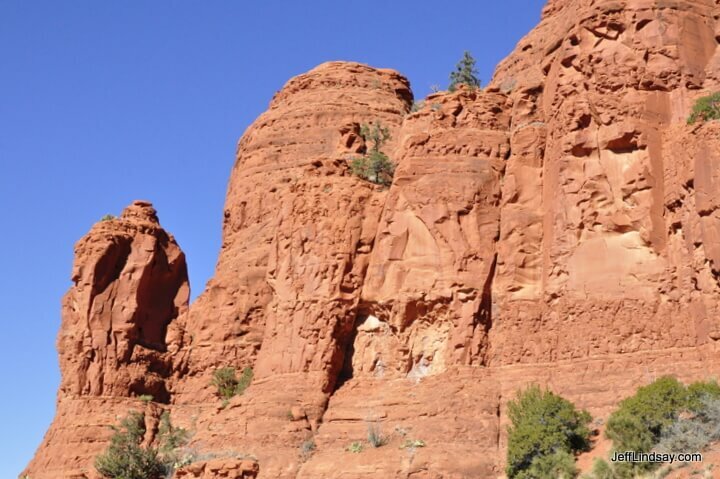 Red sandstone cliffs in Sedona, Arizona. 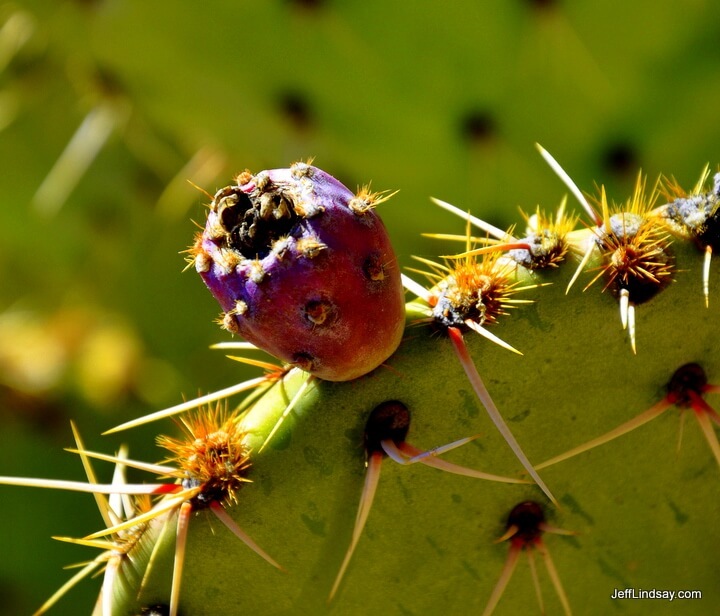 Prickly pear fruit in Sedona, Arizona. Hawk in flight, Appleton, WI. A plant covered with hoar frost, Menasha, Wisconsin.